In an emergency, every minute counts. 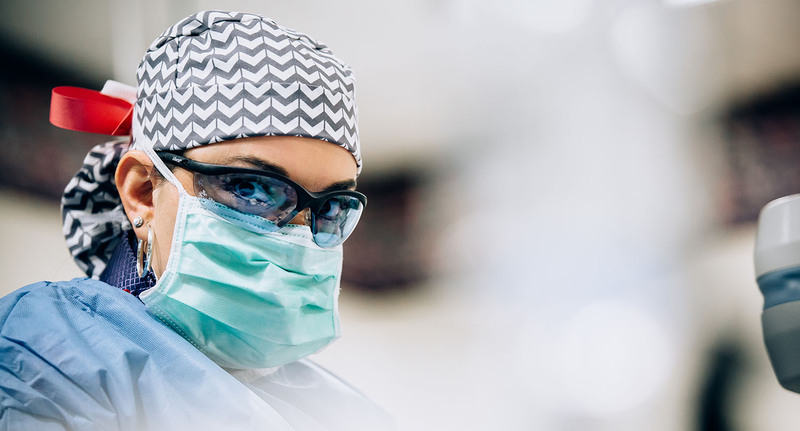 The ER at BSA has immediate access to life-saving support services including the Cardiac Cath Lab, Critical Care Unit, Surgical Operating Suites and the most advanced Laboratory in the region. Using these hospital-based services we are able to quickly treat you and your loved ones — saving lives when every minute counts. With large rooms, more privacy and state-of-the-art technology you’ll receive the right care, right when you need it. BSA’s fully-equipped ER is prepared for any medical emergency, because when minutes count your ER choice matters. Fast Track - Fast Track, specifically designed to care for minor emergencies in a comfortable, convenient setting. A full-service pediatric unit/pediatric intensive care in case your child needs to be admitted. Spacious private rooms for you to stay with your child. A Child Life Specialist to provide a variety of services and support to our patients and their families. The pediatric unit playroom is filled with toys, games and crafts for children of all ages. This includes PlayStations, GameCubes and Nintendo consoles. The newly redesigned BSA Emergency Room includes a Fast Track, specifically designed to care for minor emergencies in a comfortable, convenient setting. The Fast Track is not a walk-in clinic, but rather an expansion of the Emergency Department, designed to care for less critical emergencies. All patients presenting to the Emergency Room will register at a single location, assessed by a registered nurse and directed to the appropriate destination. Patients with less-urgent issues such as the flu, lacerations or rashes will be put on the "express lane" to the Fast Track. Critical patients will be taken to the Emergency Room. Separating critical and less critical patients will result in less wait time and an even higher level of care. If your injury or illness ends up being more extensive, all the resources of a full Emergency Department are available to you. For non-life-threatening emergencies, BSA Urgent Care Center has been providing excellent care for more than 25 years. Conveniently located at Bell and 45th Street, extended hours until 10 p.m. makes us more convenient than your ordinary doctor’s office. With digital X-ray and minor surgical capabilities as well as an in-house lab, the BSA Urgent Care Center offers treatment for broken bones, sprains, infections, burns, cuts, flu and more. The BSA EMS Division provides emergency medical services 24 hours a day. We also provide standby services and disaster response to an area of approximately 850 square miles including Canyon, Buffalo Lake National Wildlife Refuge, Bushland, Lake Tanglewood, Palisades, Palo Duro Canyon State Park, Timbercreek Canyon, Umbarger and Wayside. We provide emergent and non-emergent transport services to hospitals, air medical providers and other healthcare facilities. Have your personal information, medical history and current medications written down. Here is a form you can use. Complete the form and place it o n your refrigerator. Our staff will look for it there. Be sure your address is clearly marked on your home so police, fire and EMS can find you easily. If you’re able, unlock your door, put away pets, and turn on a porch light. For your safety and protection, we prefer to transport you with your photo ID, insurance card and current medications.